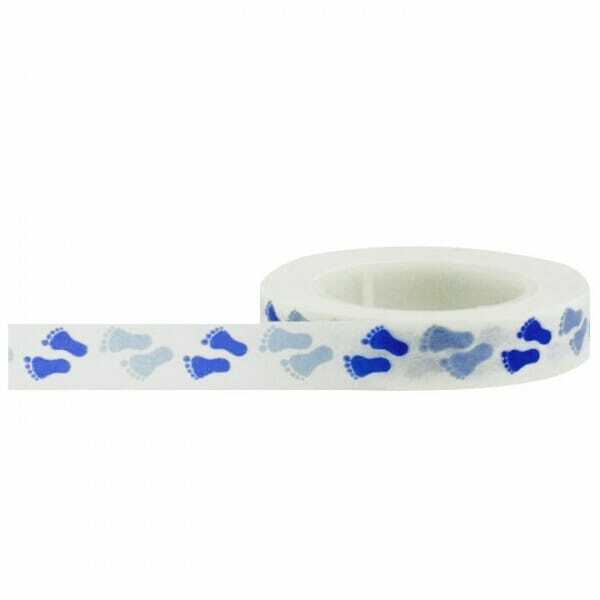 Little B Baby Footprints Blue 10mm x 15m Tape. Our Decorative Paper Tape also takes advantage of our advanced printing processes, rendering vibrant, multi-color and realistic designs in a variety of widths. Each Tape comes equipped with its own stylish cutter a unique device only found with Little B. Customer evaluation for "Little B - Little B Baby Footprints Blue 10mm x 15m Tape"